Kzarka is a popular boss in Black Desert Online that drops a BIS (Best In Slot) main weapon. His loot table includes other valuables, like the Liverto Weapon Bundle, a nice blue grade mainhand weapon. 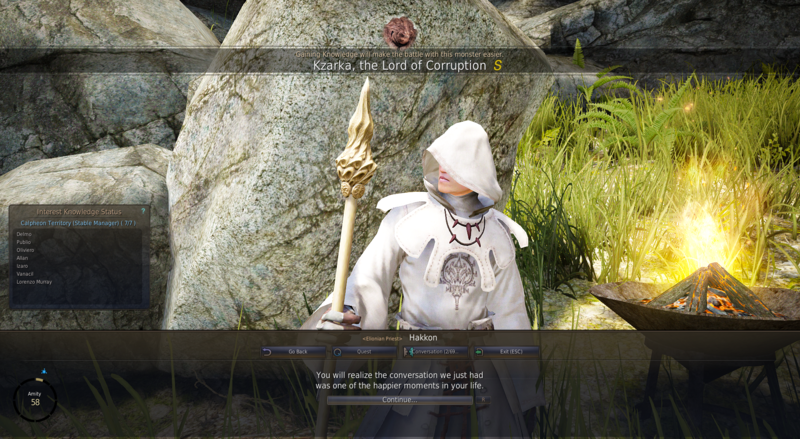 This Kzarka guide will detail how to find and defeat this Lord of Corruption and destroy his vile evil once and for all! Even if you don't get a Weapon Box the first 100 times fighting him, you can obtain your Kzarka Weapon by turning in 100 Latent Auras with the Kzarka Quest. Loot still drops on despawn but at a lower rate. Kzarka's health is shared across all Channels. Spread out across channels for better chances. Kzarka is located SE of Glish, within the tunnels of Serendia Shrine. The Serendia Shrine node is a danger node far South of Heidel in Serendia territory. The outside entrance is safe, and you can park your horse there. The mobs inside include level 50 Serendia Shrine humans. Thank you to Youtuber, Density, for recording directions to Kzarka, including the path through the tunnels. TLDR: Run through the Serendia Shrine tunnels, following the left door ways and into the final shrine room. For additional help knowing when world or field bosses might spawn and which channels they are currently alive on, visit the World Boss Discord. Kzarka does not spawn when a Channel is at war. Possible war servers are: B1, S1, C1, M1, VA1. If the in-game notification is within the 15 minute pre-war period (5:45PM to 6PM PST), it will not spawn on any war servers. Kzarka also will not spawn during a current war. At the bottom right of your map (M) you can see war information. 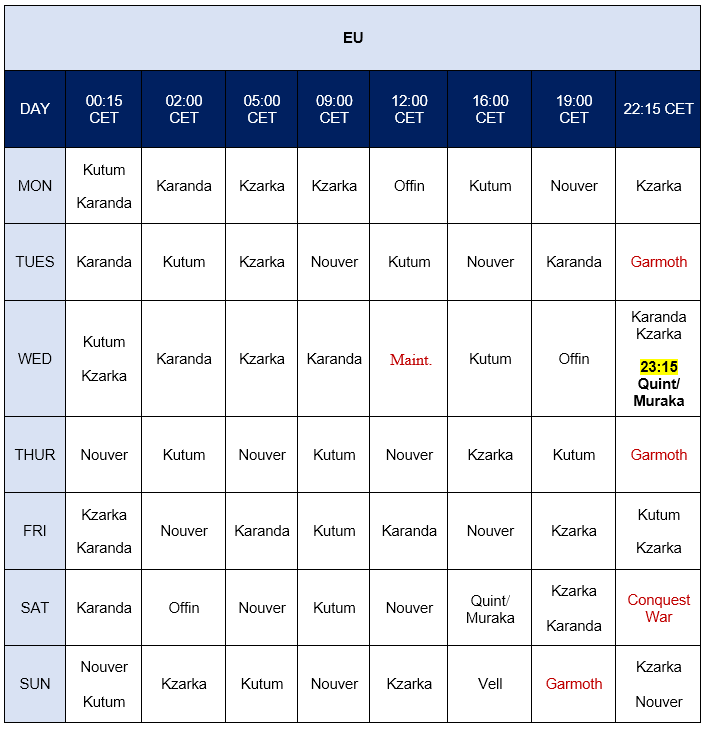 If war is ended at time of notification, Kzarka will spawn. Kzarka knowledge is obtained through Amity with an NPC named Hakkon. Kzarka ranks will help you get that Kzarka weapon and other rare drops, but you will need the top rank of S. You obtain this by visiting the NPC, Hakkon and gaining Amity with him. After you have 50 Amity, you can spend 2 Energy to purchase a Knowledge rank chance. If you don't like the rank you get, you can unlearn it in Calpheon City at the Library in the SE section of the city. Monster rank rewards are cumulative. For example, S rank also provides damage and defense benefits, as well as a detailed monster HP bar for that S ranked enemy. The monster HP bar color will change depending on its HP, even when you don't have the monster's Knowledge yet. Kzarka Knowledge Reset Tip: Put one or more alts next to Annolisa Rosie. Press KNowledge Management button and reset Kzarka Knowledge for 10 Energy. Once reset, you are able to obtain the knowledge from Hakkon again to try your luck at gaining a higher grade. Keep logging between characters until you gain Kzarka S Knowledge rank. This is so that you don't have to keep running your boss alt back and forth from Hakkon to Annolisa. Note that there is no concrete proof or statistics on the benefits of S rank. Elixir of Oblivion can be purchased with Loyalties to reset Kzarka Knowledge. But Loyalty is better spent elsewhere, unless you have already purchased weight limits, etc. Kzarka loot is based upon damage dealt, with the highest damage dealers having a better loot table. The top damage dealers also get a higher chance of obtaining a Kzarka Sealed Weapon Box, at 4%. As long as you do some damage and there is not too many players, there is a slight chance of .3% that you will obtain a Kzarka weapon. Data source: bddatabase.net's Kzarka page. You don't have to have the quest in order to obtain Kzarka's Latent Aura! 1 to 2 Kzarka's Latent Aura will drop if you do damage during a Kzarka battle. Quest NPC: Delfinio is the Node Manager of Serendia Shrine, so if you right click the Node icon on the map, it will take you right to him. Some players say spending Energy into the node Serendia Shrine increases your chances of obtaining rare loot around the node. This would be hard to prove and has not been proven for Kzarka, to my knowledge. It's tin foil, but if you have no other use for Energy, it might help. Normal Level 10 Node Investment: +10% rare loot obtain chance. Each node level gives +5% Item Drop Rate for 10% of monsters killed. +20% Item Drop Rate via "Knowledge (Ecology) Effect"
I thought I should add this just in case it might help with Kzarka. I doubt it does, but you never know. Supposedly, this drop buff works for all enemies, no matter what rank of Knowledge you have on them. The more Ecology Points you obtain by gaining more and higher monster Knowledge ranks, the better your rare drop chances. Knowledge Window (H): press H key to view Ecology Points and "Knowledge (Ecology) Effect"
Important Note: Item drop buff does not apply to junk loot and party drops! Kzarka is a very busy boss and because of his ease of access and great loot, is always in high demand. Expect a high amount of fellow Black Desert players to be at the spawn location. This is good if you want some help, but bad for our graphics cards. Frame rates will drastically drop. With lag, it's more difficult to watch Kzarka's moves to know when you should move and evade. For the most part, stay mobile in the battle, so that you are behind Kzarka, because he has frontal attacks. You do this by strafing left and right and using your class's mobility skills. Back attack damage also increases your damage and your chances at the best loot table. Kzarka will spin around the room, but with some practice, you will learn his movement patterns. Frontal AOE attack that does moderate damage. It will not kill you if you have enough DP. Make sure you have potions. Watch for black smoke that will rise on all four sides. He will also become immune and untargetable. Immediately go behind one of the pillars in the four corners of the room. Fire Breath: A large red cone will display on the ground in front of Kzarka. Stay out of the red area! Many Small Red Circles: numerous small red circles appear on the ground. Stay out of the red areas! 1 Large Red Circle: one large circle covers almost the entire room. Go to the outside edge or hide behind pillars. 2nd Wave of Many Small Red Circles: numerous small red circles appear on the ground. TIP #1: Do not make the common mistake of rushing back in until you see ALL red circles disappear. TIP #2: If you do happen to die, congratulations! Just select "Resurrect at the closest Safe Zone", which will put you at the Serendia Shrine Node Manager and you can run back in. TIP #3: Your pets will auto loot Kzarka if they are out, otherwise run up to the corpse and hit R key. Kzarka, the Lord of Corruption is said to have the destructive might of a God. He was sealed centuries ago by an unknown sacred organization. Kzarka was safely sealed in a shrine in Serendia, but a suspicious group took over the Kzarka Shrine in the turmoil of the war and is now attempting his resurrection. Heidel has dispatched troops to retake the shrine several times, but each attempt has ended in failure. 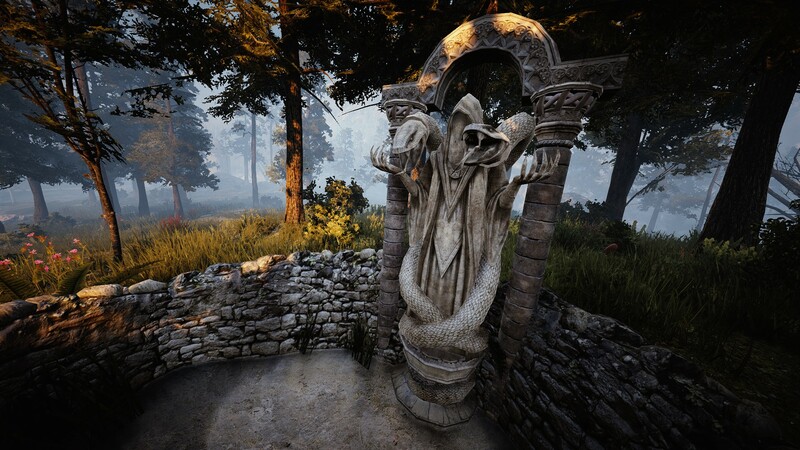 Serendia Shrine is an offering altar used by the Kzarka-worshipping Cultists. Rumor has that Kzarka has actually manifested deep within the Shrine, but only halfway.